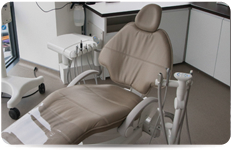 Prosthodontics is the area of dentistry that deals with the replacement of missing teeth and the restoration of teeth that have either complex problems or a poor appearance. 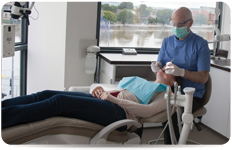 Dr. Padraig McAuliffe provides the prosthodontic services at Riverpoint. Dr. McAuliffe spent 3 years in full time, accredited specialist training on top of his normal dental degree in learning how to provide treatment in these areas at the highest possible level. Prosthodontics encompasses a very wide range of treatment options to help patients with difficult dental problems or high aesthetic demands. These include crowns, bridges, veneers, implants, complete dentures, implant supported dentures (fixed and removable), secure partial dentures and cosmetic procedures such as tooth whitening.